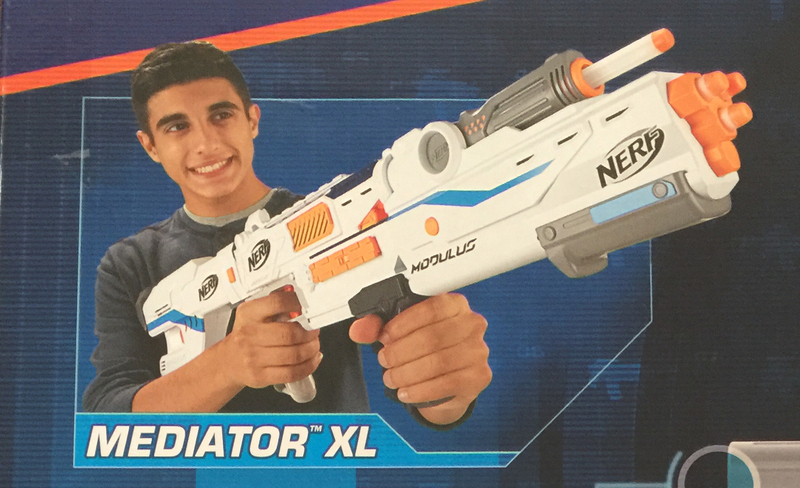 Despite only being revealed on the web just a couple of days ago, YouTuber, Hartley Ju Nerf, has once again managed to get his hands on an unreleased blaster – the Modulus Mediator. 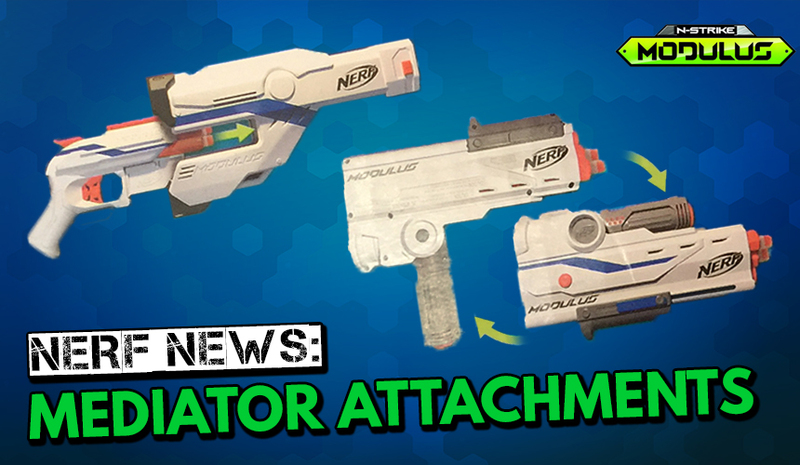 Not only do we get a good look at the blaster and its internals but also a close look at the Mediator’s other attachments. 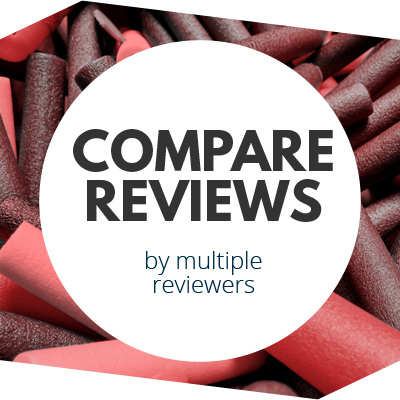 Check out Hartley’s review of the Mediator! Posted on Baidu, here is a nice, clean picture of the Mediator’s other attachments. As we can see, the stock is able to store a mini blaster, which very much resembles the ZombieStrike Doublestrike. I think it’s much more convenient storing a mini blaster in the stock, rather than a stock acting as a blaster (previous Modulus stocks), since the whole attachment needs to be taken off, for it to be used. And because the blaster is hammer-action, you can dual-wield. Woo Hoo! The front barrel also appears to be quite a nifty attachment piece. As you can see in the graphic illustration, you are able to filp the barrel extension, so that the main grey barrel can be used as a handle. Mediator in its full form. Anyway, that’s all for today! Hopefully we’ll soon see some more pictures of the Elite Surgefire. 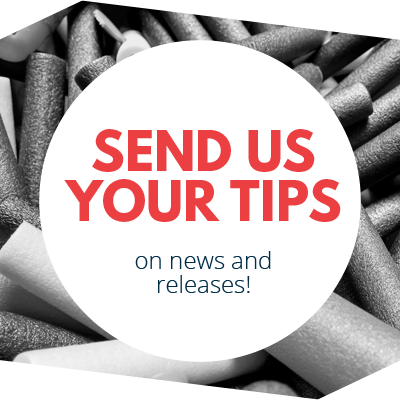 This entry was posted in News/Updates and tagged 2017, leaked, mediator, modulus, nerf, nerf news on August 23, 2017 by JJ Reviews. 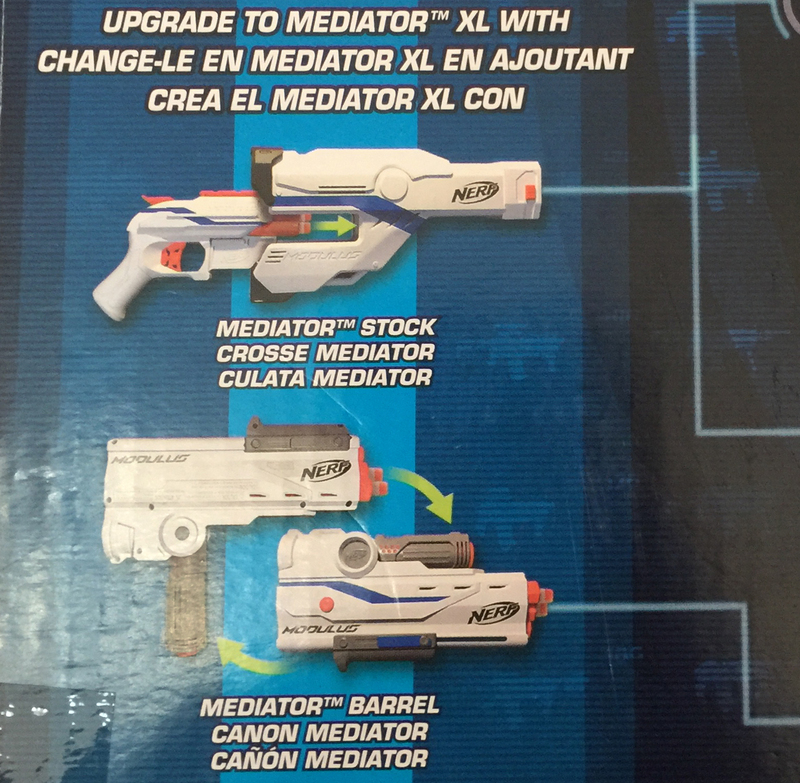 The gun that inserts into the mediator’s stock looks like a Doublestrike. I accruals don’t think that supposed shotgun attachment is hamp powered I think the orange button on the side is a trigger mechanism, and not for rotating the barrel/pistol grip, if you look at the other side I see what could be a button for the barrel rotation in the actual hinge its self very reminiscent of the modulus CQC kits folding grip.